White House H1B Petition: please support! | Stop H1B visa fraud! HomeWhite House H1B Petition: please support! White House H1B Petition: please support! 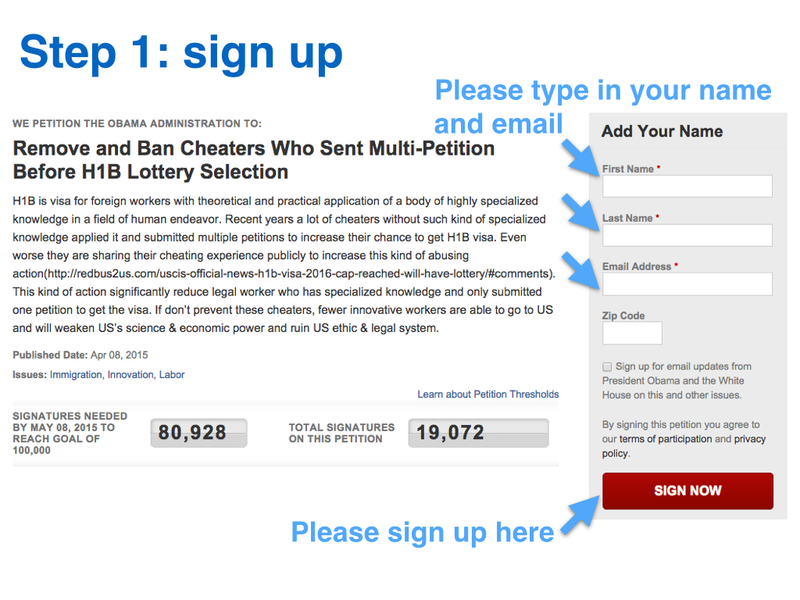 Please support our White House petition “Remove and Ban Cheaters Who Sent Multi-Petition Before H1B Lottery Selection” http://wh.gov/iZAhc for stopping H1B visa fraud! 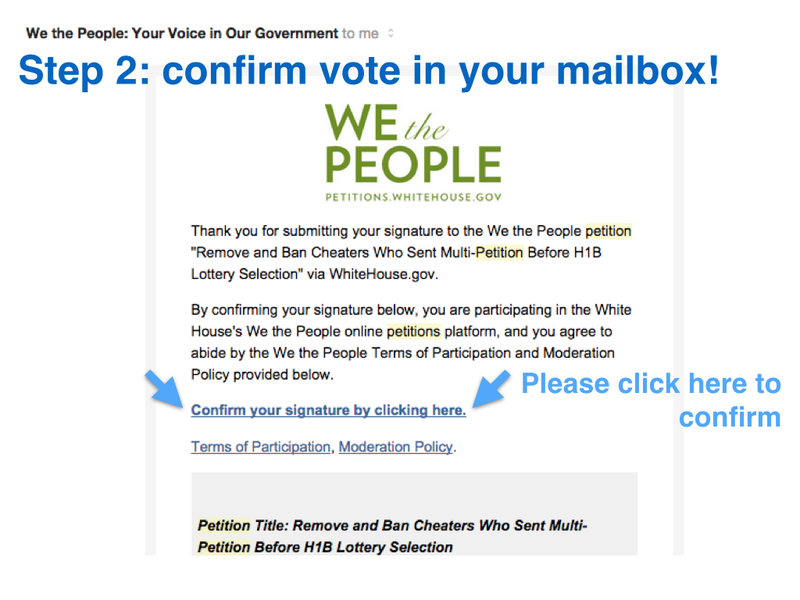 Please sign up, and confirm your vote in the confirmation email.